How to Clean the Vacuum Hose? The hose of a vacuum cleaner is vital since it helps you to clean places which are beyond the reach of your regular vacuum. A vacuum hose makes sure that you will get the perfect end in cleaning. Therefore it is necessary to ensure that it is functioning well so you can always get an ideal end to cleaning with a vacuum. For this, you must make sure that your cleaner is not facing risks like clogging. Vacuum cleaners often face the problem of clogging when the dust, debris and other dirt blocks the inlet and make the equipment inefficient in functioning. The hosepipe of a vacuum cleaner has a high risk of getting clogged as it performs suction of dust, debris and other dirt. Your vacuum cleaner might not work correctly since it directly affects the suction ability of the vacuum cleaner. It is why cleaning the hosepipe of your vacuum cleaner can be quite significant. Let’s go through our step by step guide on cleaning your vacuum hose and put an end to the risk of clogging. What you should do first is to clean the clog inside the pipe. For this, you must detach the hose and lay it on a marbled or tiled floor linearly. Then you must send a long stick through the hose so that all the dust, debris and dirt inside the vacuum hose would come out. Avoid doing this on a carpeted floor so that the dust won’t make a huge mess when you clean the vacuum hose. You can use your broomstick if there is trouble in finding a long stick for the process. Now after clearing the dirt inside the vacuum hose, the next thing that you should do is to wash the hose pipe. To clean the hose pipe, fill in a sink with hot water up to four inches and pour in some cleaning agent into the water. Then soak the hose pipe in the hot water solution and let it get cleaned. 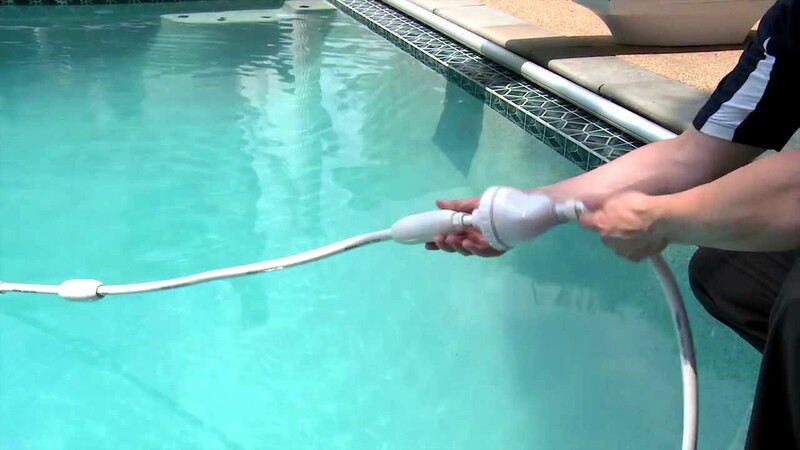 Keep the hose still till it gets cleaned by soaking in the water. Next get the vacuum pipe out after letting it soak in the solution. Since it is already cleaned half the way by getting soaked now, it is time to get it rinsed on the inside. The debris and dirt which remained even after removing them with a long stick must have already unclogged after getting soaked in the solution. All you have to do is to rinse the inside of the hosepipe so that the unclogged dirt will get removed. Just a thorough rinse and the whole thing gets cleaned. Give it one last check to see whether the vacuum pipe is entirely cleaned. Still, something is remaining? Well, there is nothing to worry! Just scrub it off with a bottle washer and the vacuum pipe is all ready to be used. Well, you have to let it dry before attaching it to the housing again. Then, that’s it. Now you know the most easier way of cleaning your vacuum hose. It is well said that “prevention is always better than cure”. So why not you try to prevent clogging instead of taking trouble in cleaning your vacuum hose on every time it ends up with getting clogged. The following are some ways in which you can prevent clogging so no more trouble in cleaning! Make sure that you don’t vacuum wet areas since it has a high chance of getting the vacuum hose stuck with dirt. Make sure that you sweep your floor well and clear out all the large debris so that they won’t get trapped inside the vacuum hose. Avoid running your vacuum cleaner on empty bags ore canisters to prevent clogging. Try the above three to minimize the risk of getting your vacuum hose clogged. It would be better if you could have a check on your vacuum cleaner at least for once in two or three months. Preventing a possible risk is better than looking out for solutions once encountered with a risk. Keep your vacuum cleaner well cleaned so that there is no doubt about its efficiency!